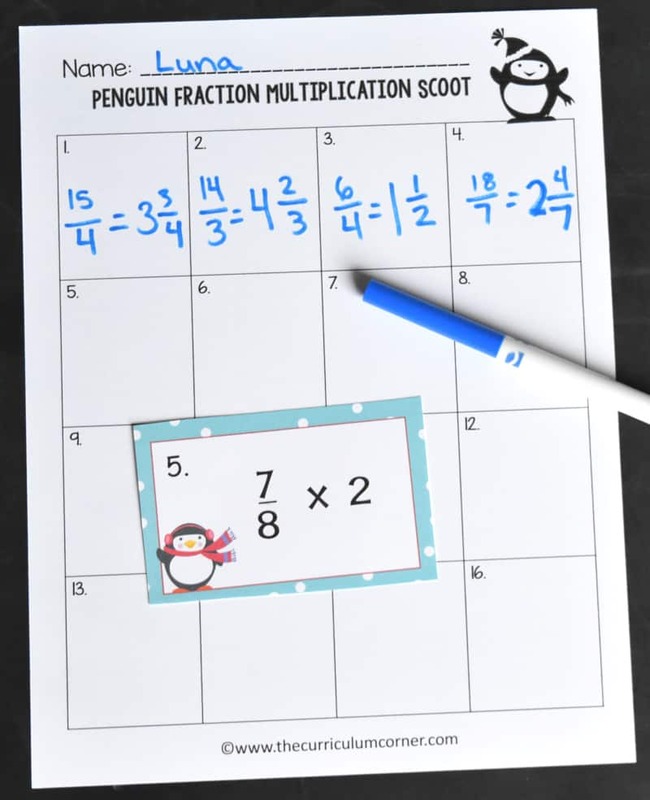 This Penguin Multiplying Fractions Scoot game (multiplying whole numbers by fractions) is great for practice or review this winter in your fourth or fifth grade classroom! 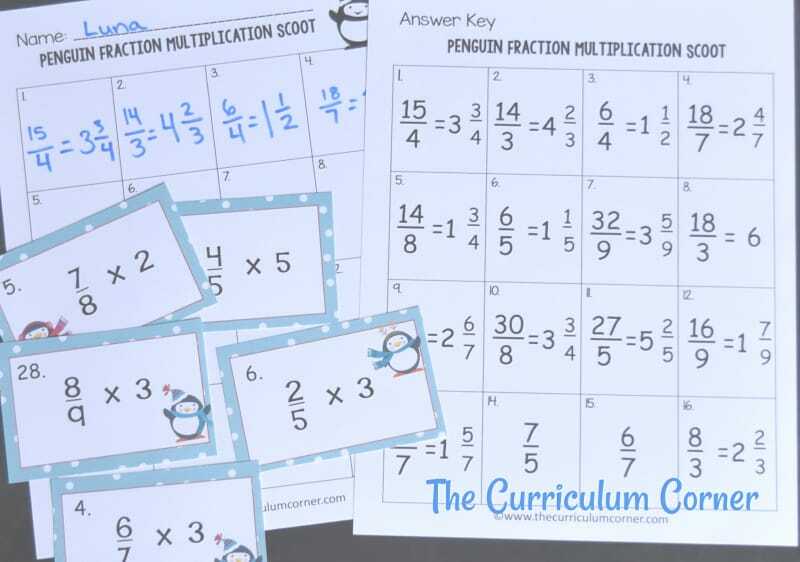 This Penguin Multiplying Fractions Scoot game (multiplying whole numbers by fractions) gives your students practice fractions. Instead of playing this as a scoot game, you could also make it a write the room type of activity. 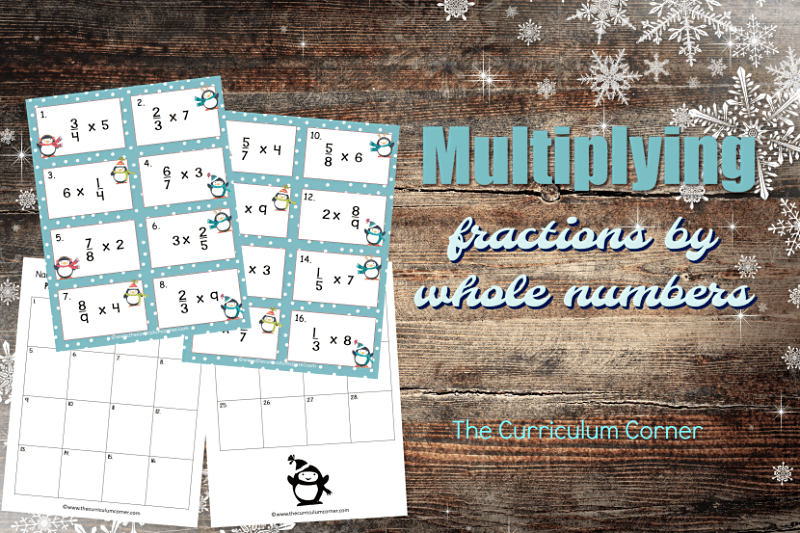 Place the cards throughout the room and your students can travel around the room during class to find each card. This is a good alternative to a traditional scoot game because students will not feel rushed to complete each problem. You may want to plan out the direction and path of the rotation before beginning, but you can also simply have them walk randomly to a new spot. The activity continues until students have traveled to each of the 28 cards. Of course, you don’t have to use all 28. You can use only the number of students in your classroom if it is less, but we have found that having a few extra helps with the flow of the scoot game. Students can travel to another card if the one they are headed towards becomes occupied before they get there. If you have more than 28 students, they can either double up at a card if needed or you can direct them to check their work for a few minutes if all the spots are taken. An answer key is provided for easy grading purposes or if you want your students to self-check. Many teachers use Scoot games as a review for an assessment, so students can check their answers to determine if they need additional practice or support before the assessment.